This is pure unadulterated Comfort Food. This is the pasta that I was raised on. This is the way my Grandpa made Clam Linguine and the way my Mom made Clam Linguine and the only way I know how to make it. When hubs in charge of dinner, this is his go to recipe. He reminds me so much of my Grandpa. Grandpa was a singer and poet and Irish, so is hubs, and Grandpa would love it that this is hubs favorite recipe. 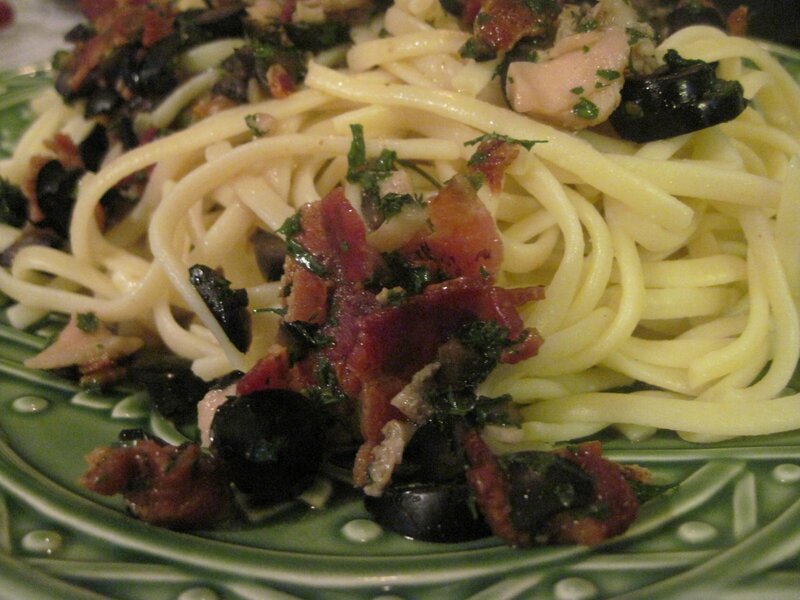 Grandpa is with us when we make his Clam Linguine, I can hear his laugh. This was what I requested my Mom to make for me as my last supper before I was a mother when I was in labor with my son. It is a simple recipe, but don’t leave out any of the ingredients. 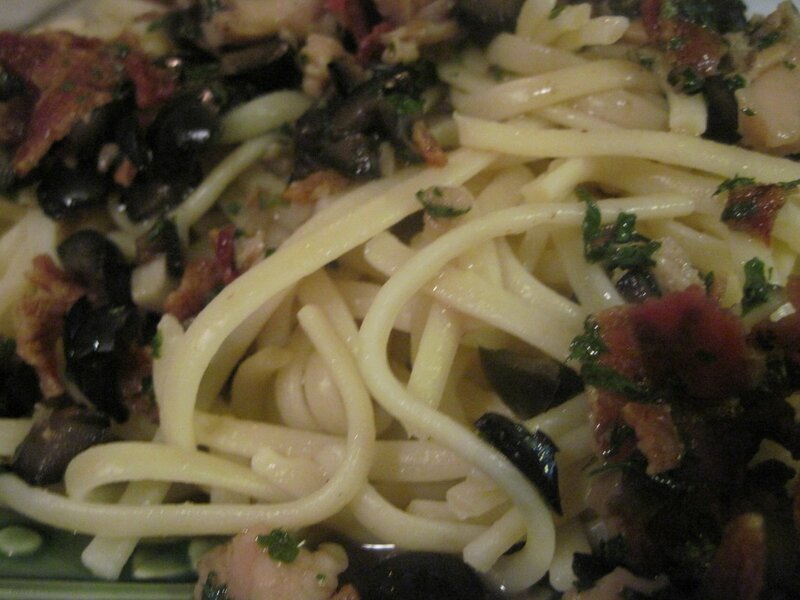 One time hubs made it without parsley and my heart ached for that parsley….I just had to make it again that weekend because the flavor combination is perfect, crunchy, salty bacon, caramelized garlic, black olives, chopped clams, not whole,( we have tried and it just doesn’t cut it), butter, olive oil, crunchy, fresh taste from Italian flat leaf parsley all together smothering AL dente linguine. Anytime, lunch or dinner, with buttery garlic bread and tossed green salad, and of course a glass of Pinot Grigio! Abundanza!! Chop 4-5 garlic cloves, saute in Olive Oil on medium heat. 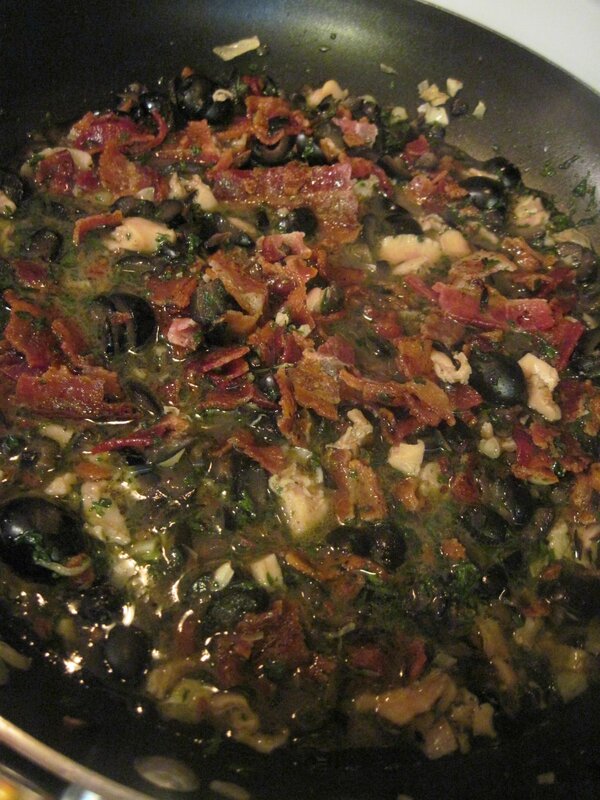 After a couple minutes, add 2 cans chopped clams, add one can chopped black olives. Turn heat to low, let simmer. 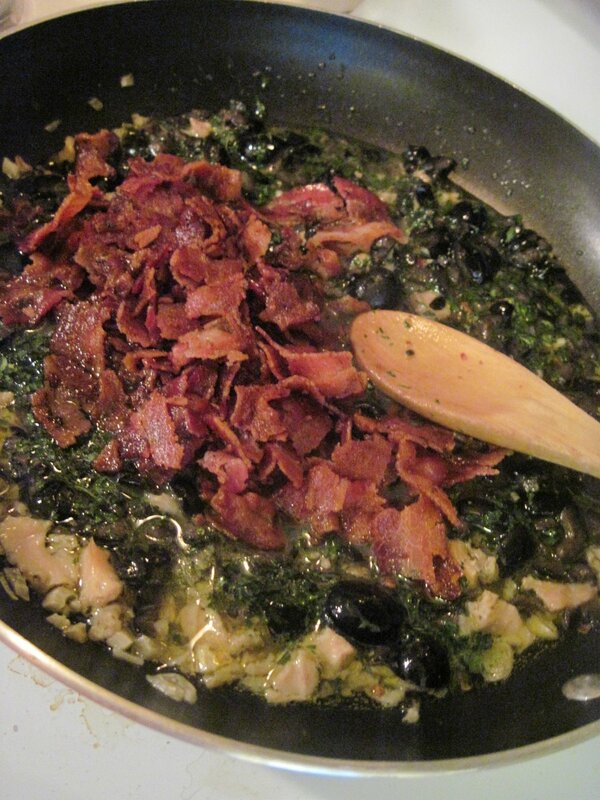 Add 1/2 pound of crispy bacon ( I like to cook bacon in the oven, hubs prefers cooking bacon in the wok outside on the BBQ, drain on paper towels, I usually make one pound and by the time the kids nibble on it before dinner, there is about 1/2 pound left to add to the sauce.) Add chopped flat parsley, I added dried parsley this time, just not the same, trust me on this one, I have been eating this pasta for over 40 years! Gently mix ingredients for sauce, place over AL dente Linguine. Perfecto! Sauce is ready! No need to add salt, just some fresh ground pepper. Looks wonderful. Thank you for all the How-To photos. Do you ad the juice of the clams? 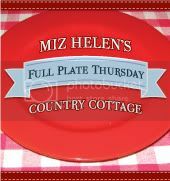 Very nice blog Nettie! I'm a new follower :)..
Nettie, this looks wonderful, I can almost smell the wonderful aromas coming through my computer, will have to give this a try, hugs! I like the bacon in this dish. 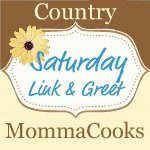 Please share this on my foodie friday linky today. Mmmm, sounds wonderful! Looks delicious too! Love old family recipes! Thanks for sharing at the Rock N Share! Lovely! I can almost taste this wonderful dish! Thank you so much for sharing it and your precious memories on Thursday's Treasures Love! <3 and hugs! Looks delicious! 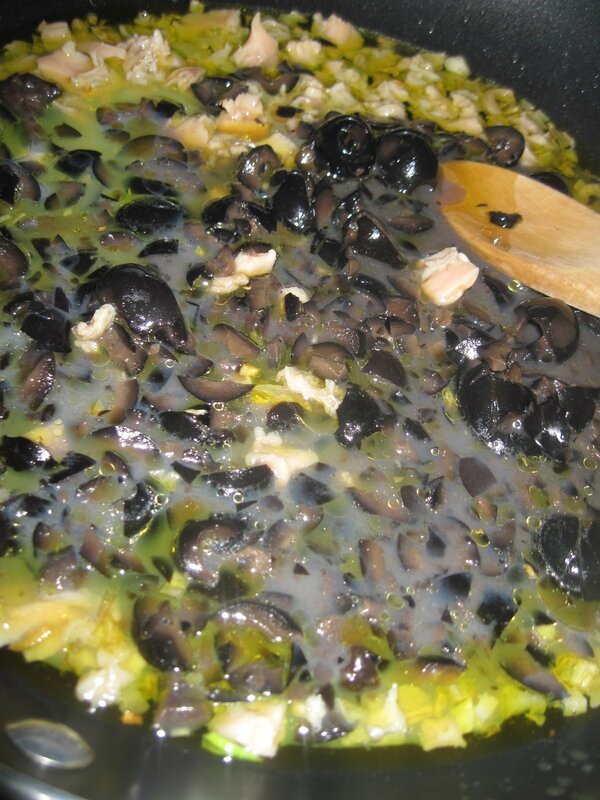 May I ask how much oil and parsley you used?